Hi, fixed the problem with the patch 1.24 of Warcarft III. Hey, so i got this map, and the second i had it downloaded all of the custom games are now unjoinable – including 6.61c…. i can join normal wc3:tft games but no custom games.. when i click on one it just times out and says i cant connect.. any ideas? hi, where do i put this file? 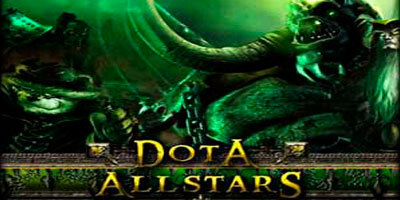 DotA Allstars 6.61c, i am a new with this. i want to play in garena with path 1.24 but is still download a map.. i have a map but always dl i try to dl the map every time 99 auto leave the room. i tried to create a game but is not working i dont know why… any ideas? for all those who can’t play custom game, this will answer your question. this isn’t working, maybe a new patch must be load. Any idea what patch do i use im already using 1.21b. Hopefully AI will be available soon, and all new heroes are working properly even when AI using it. Hey.. i want to play dota with the computer, but the computer does not choose his hero. So i just play myself. Any idea? @rick, download DotA Ai map. I don’t know why i can’t download link 2 of map 6.61. Can you tell me how to download map 6.61?